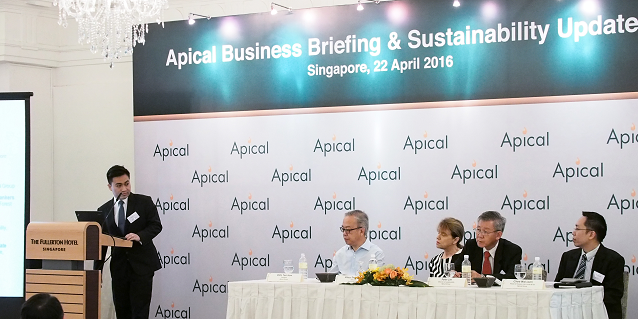 On 22 April 2016, Apical Group held its inaugural Business Briefing & Sustainability Update. 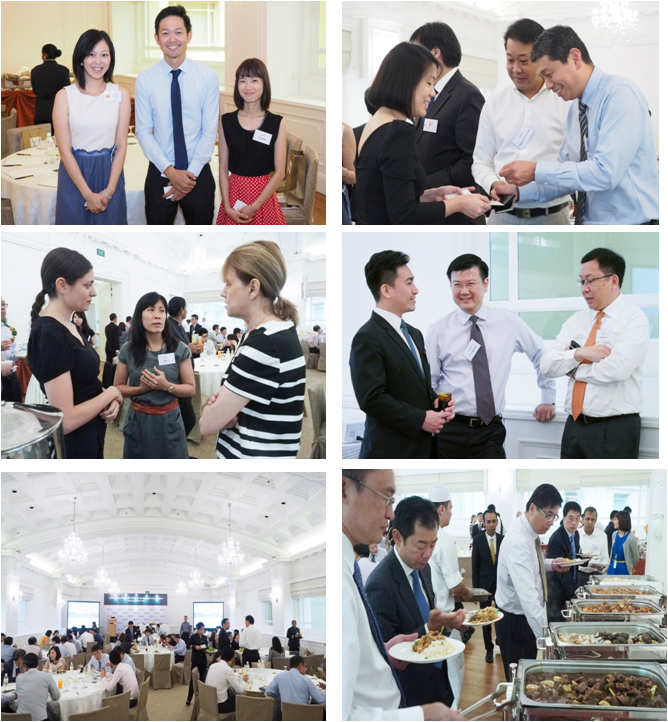 Led by its President Dato’ Yeo How, Apical management hosted 90 representatives from 30 banks at the Fullerton Hotel in Singapore. Apical’s President Dato’ Yeo How delivers his opening remarks. He was accompanied by TFT’s Director Hilary Thompson, Apical’s Director of Sustainability Dr. Peter Lim and Head of Finance Accounting and Tax Chee Wai Loon. In addition to receiving updates on Apical sustainability journey, the banking representatives got to interact with Apical’s management and sustainability specialists. Dato’ Yeo shared at the briefing that Apical not only takes sustainability very seriously, but actively seeks positive and meaningful results from implementing its Sustainability Policy. It is about making real changes on the ground. 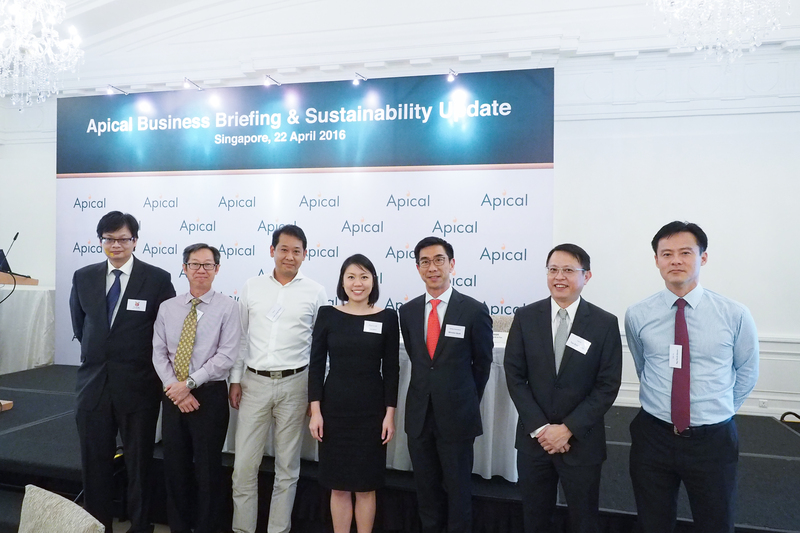 Dato’ Yeo added that as an RGE business group, Apical’s Sustainability Policy is aligned with RGE’s 4 C’s business philosophy – that Apical conducts its business in a manner that is Good for the Community, Good for the Country, Good for the Climate, and then Good for the Company. Director of The Forest Trust (TFT) Hilary Thompson was on the speaking panel. She explained how collaboration between Apical and TFT has helped fast-track Apical’s sustainability policy implementation and increase traceability and sustainability across the supply chain. Along with palm oil producer Asian Agri, Apical became a TFT member in June 2015. Apical has three refineries located in Dumai, Tanjung Balai and Marunda. 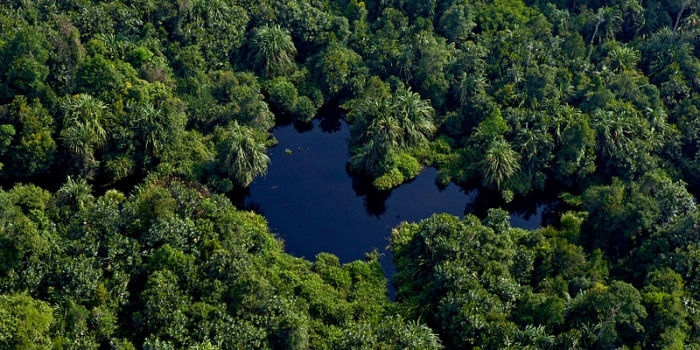 Apical’s crude palm oil is 100% traceable to its processing mill (first level traceability). TFT is currently working with Asian Agri to increase traceability back to the plantation (second level traceability). 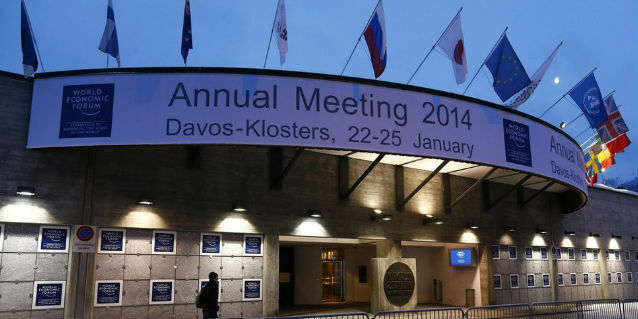 Ms Thompson acknowledged that scaling up sustainability programme would not be easy as most suppliers are smallholders. In addition to improving traceability, Apical is focused on helping their suppliers receive certification. 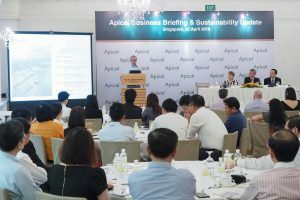 According to Dr Peter Lim, Apical’s Director of Sustainability, Apical’s target is to work closely with its suppliers towards sustainability certification (ISPO/RSPO/ISCC) by 2020. Find out more about Apical-TFT cooperation here. You may read Apical’s Sustainability Progress Report 2015.